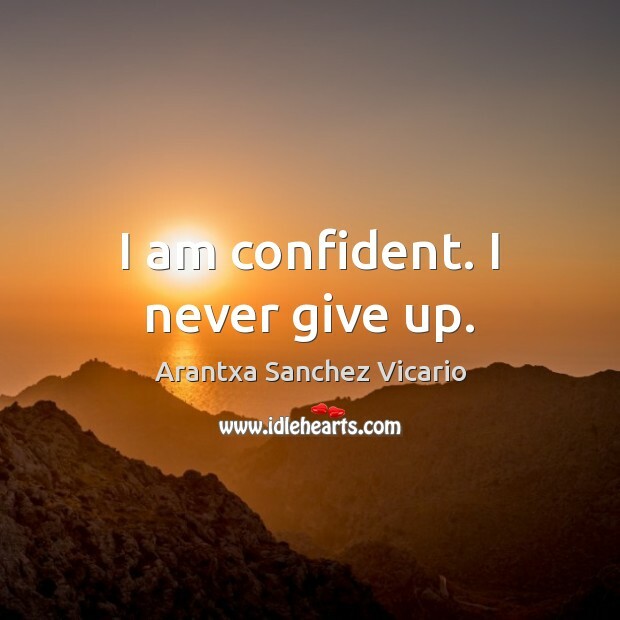 Enjoy the best inspirational, motivational, positive, funny and famous quotes by Arantxa Sanchez Vicario. Use words and picture quotations to push forward and inspire you keep going in life! I am confident. I never give up. I'm very happy to come back. I've always had success here and the public is fantastic. I love you, Montreal.